LAS VEGAS, NV / ACCESSWIRE / February 8, 2019 / Wrap Technologies, Inc. (the "Company") (NASDAQ: WRTC), an innovator of modern policing solutions, announced today that it has appointed Rick Guilbault as Vice President of Training. In his new role, Rick will be responsible for scaling the Company's Training Department nationally and internationally to meet the training needs of law enforcement partners to resolve potentially dangerous situations safely and without injuries through effective use of the BolaWrap. 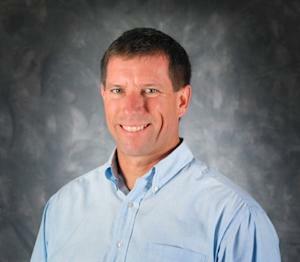 From 2004-2014, Rick was the Vice President of Training and Education for TASER International (now Axon Enterprises). He founded the TASER Training Academy which trained over 10,000 law enforcement trainers, investigators, technicians and executives annually. Rick provided TASER training and presentations to groups throughout the United States, Canada, Europe, Asia, South and Central America, Australia and New Zealand. He has presented training in 26 countries and trained law enforcement and military personnel from 30 countries. Most recently, since 2014, Rick has been in a sales role for Ti Training in Golden, Colorado where he managed international, federal and military sales of use of force training simulators. Rick retired from the Sacramento Police Department in 2004 at the rank of sergeant after 24 years of service. His assignments included Field Training Officer, SWAT Team Operator, Patrol Sergeant, Academy Commander, In-Service Training Supervisor, and SWAT Team Leader. He is a certified instructor in use of force, chemical agents, firearms, crowd control, and a variety of non-lethal weapons. Rick has authored numerous articles on non-lethal weapons tactics and training. He has qualified in both federal and state courts as an expert witness in law enforcement training and use of force and has provided testimony at trial and in deposition in about 40 cases in the United States and Canada. Rick earned his bachelor's degree in criminal justice and his Master of Public Policy and Administration degree from California State University, Sacramento. "More than 600 departments have requested demonstrations and we are growing rapidly to meet customer requirements. The next important step to support successful adoption of the BolaWrap is training. Rick's years of extensive experience and proven success managing more than 10,000 law enforcement trainers makes him the ideal candidate for this important position," said David Norris, Chief Executive Officer of Wrap Technologies. "We are thrilled to have Rick join the team and lead our training operations." "The BolaWrap is the right tool at the right time to help law enforcement safely deal with people in crisis and resolve incidents before they escalate to the point where potentially injurious force is needed," said Rick. "I am honored to work with the trainers at Wrap Technologies to develop a world class training program and deliver the highest quality training to our law enforcement partners." This press release contains "forward-looking statements" within the meaning of the "safe harbor" provisions of the Private Securities Litigation Reform Act of 1995, including but not limited to statements regarding the Company's overall business, total addressable market and expectations regarding future sales and expenses. Words such as "expect," "anticipate," should," "believe," "target," "project," "goals," "estimate," "potential," "predict," "may," "will," "could," "intend," variations of these terms or the negative of these terms and similar expressions are intended to identify these forward-looking statements. Forward-looking statements are subject to a number of risks and uncertainties, many of which involve factors or circumstances that are beyond the Company's control. The Company's actual results could differ materially from those stated or implied in forward-looking statements due to a number of factors, including but not limited to: the Company's ability to successful implement training programs for the use of its products; the Company's ability to manufacture and produce product for its customers; the Company's ability to develop sales for its new product solution; the acceptance of existing and future products; the availability of funding to continue to finance operations; the complexity, expense and time associated with sales to law enforcement and government entities; the lengthy evaluation and sales cycle for the Company's product solution; product defects; litigation risks from alleged product-related injuries; risks of government regulations; the ability to obtain patents and defend IP against competitors; the impact of competitive products and solutions; and the Company's ability to maintain and enhance its brand, as well as other risk factors included in the Company's most recent quarterly report on Form 10-Q and other SEC filings. These forward-looking statements are made as of the date of this press release and were based on current expectations, estimates, forecasts and projections as well as the beliefs and assumptions of management. Except as required by law, the Company undertakes no duty or obligation to update any forward-looking statements contained in this release as a result of new information, future events or changes in its expectations.